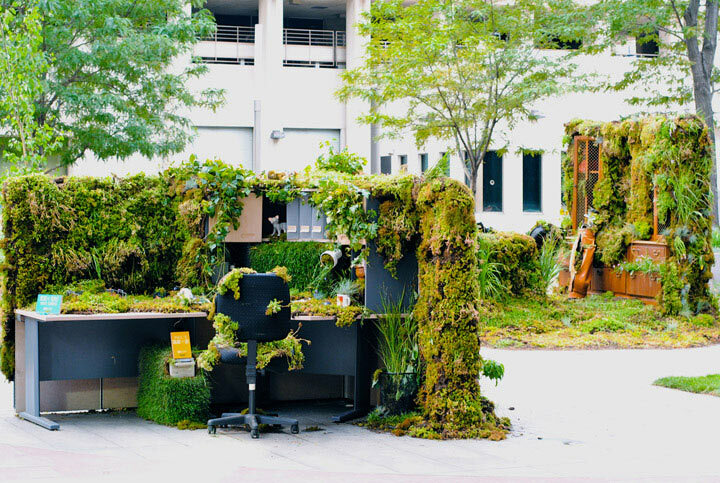 Next week is Green Office Week (GOW) which is intended to raise awareness of the importance of eco-friendly offices and inform office workers that they too can make a positive impact on the environment whilst at work. Although some organisations are already making clear statements about their green products or services and are to be commended for this, it does not mean that the culture of going green in workplaces is prevalent or pervasive. This is why Green Office Week is so important in driving the message home to everyone that environment-friendly workplaces can be easy to implement; will make offices healthier and the cherry on top is that it makes financial sense as it saves money. In South Africa Green Office Week (also known as GOW) takes place in April every year and in 2014 it will be from Monday 21 to Friday 25 April. The week’s aim is to get all of us, at our workplaces, to look or re-look at how we can Recycle, Reduce, Reuse, and save! This year’s theme is Give your office a green thumbprint! To make it easy for everyone to participate GOW has provided us with tips and ideas in the form of a toolkit. Green Office Week is an annual opportunity to get us to focus on the survival of our planet by adopting behaviours which reduce our carbon footprint as well as learning to be more aware of waste and educating us to recycle and reuse items and equipment. We all know (some more than others) that Mother Earth is under stress, and it’s not the politicians and governments alone that are going to save the planet’s resources – it’s me and you doing something, no matter how insignificant it looks. The time has come to also encourage others to join us, and that is why this year’s theme is Lead the Team. Keep it Green, because it’s important to take along with us those who may not know as much, or be as aware as we are of the need to actively do something to protect our planet from further damage.